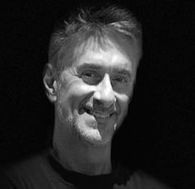 Since 1996 Michael has worked as a choreographer, director and collaborator on numerous projects including the Cirque du Soleil’s “Varekai”, Opéra de Montréal`s multi-media version of “Carmina Burana”, the documentary “Montanaro In Time”, a full length theatrical work “Frankenstein’s Ghosts, and a series of short films entitled “Dances for Small Spaces”. In 2011 Michael was invited by the Centre for Music Studies at Cambridge University as guest lecturer and also spent two separate periods of time at the University of Chicago as a visiting artist. A Full Professor, Michael was Chair of the Department of Contemporary Dance from 1999 through 2014. As Director of the Topological Media Lab, he is deeply involved in working with many undergraduate and graduate students as well as professional artists in the conception, development, creative direction and realization of many of the TML's diverse research streams. Dedicated to the envisioning, design and creation of projects focused on evolving innovative ways in which new technologies are used to enhance the first person experience within responsive environments, Michael is currently the; principal investigator and director of “InTime”- an FQRSC funded research creation project, focused on building a large scale interactive installation dealing with the perception of time; a conceptual collaborator and mise en scène for “Practices of Everyday Life |Cooking” , an electroacoustic composition / performance piece based on the sonified preparation of a meal by a professional chef/dancer; a collaborator on“Little Burgundy Narratives” funded by a SSHRC Insight Grant ; Arts and Ideas in Motion and the Solar Decathalon China, two projects with Professor Michael Jemtrud and the members of FARMM Lab, McGill University.